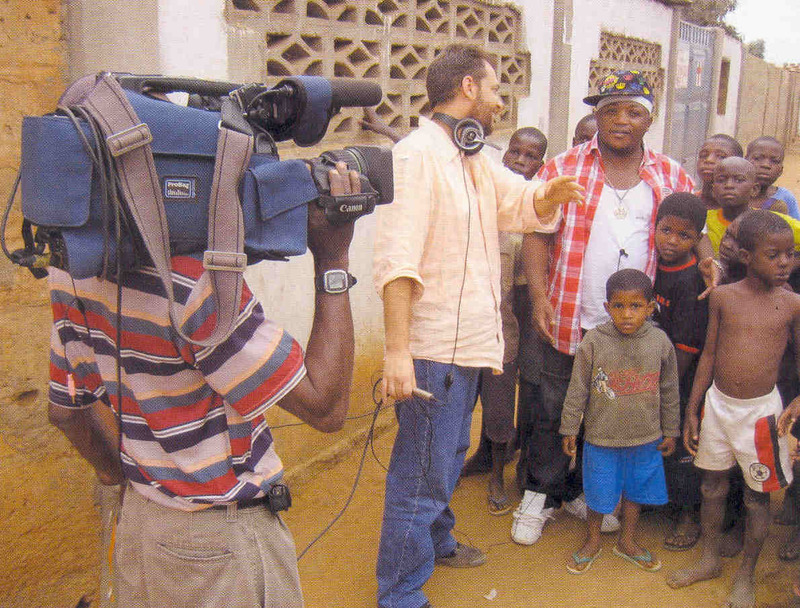 In October 2008 the Angola Field Group invited Tony Amado and his crew to give a live demonstration of kuduro. Here’s the video from that night on our YouTube Channel! 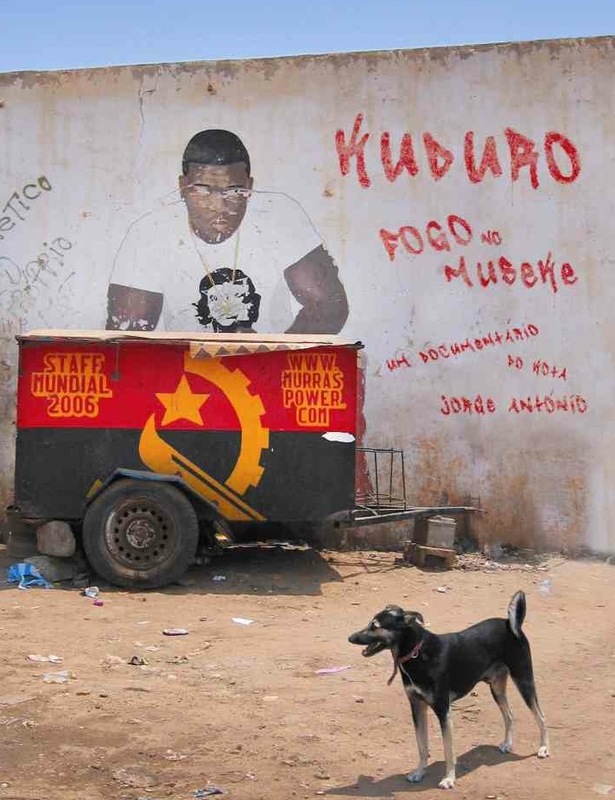 Kuduru, the ‘made-in Angola’ electronic music and dance style, has attracted world-wide attention and affected angolanidade, the national Angolan identity. The Angola Field Group invites you to a presentation “Mais carga! Kuduro music and dance”, at the Viking Club on Thursday, September 8th at 8:00 PM. Our guest presenter, Stefanie Alisch who is a DJ and musicologist from Berlin, will explore the history and function of kuduro illustrated with audio-visual material gathered during her field research in Luanda. Stefanie currently works as research assistant at the music archive of Iwalewa-Haus, Bayreuthin Germany. As a PhD candidate of the Bayreuth International Graduate Schol of African Studies she researches on kuduro. For more information visit www.norient.com/academic/kuduro. This event is organized by the Angola Field Group under the auspices of the Viking Club, the oldest recognized voluntary association of expatriates and Angolans in Luanda. Founded in 1991 in the Maianga building by Swedish/Nordic citizens in Angola, its purpose is to promote social and cultural exchange. As a properly constituted association, the Viking Club is enabled to serve refreshments and alcoholic beverages on its premises to its members and guests. While entry for guests is free, they are invited to apply for membership. You are welcome to attend the presentation which will be in English. In close cooperation with the Viking Club, this event is offered free of charge. Alcoholic and non-alcoholic beverages and snacks are sold at the bar, coupons must be purchased. The Viking Bar opens at 7:30 PM. Angolan books and comics for sale and baskets from Moxico. If you would like to have a map showing the location of the Club, click here. The Viking Club is on the main floor of Predio Maianaga, Rua Marien N”Guabi, No 118, across the street from the new Panela de Barra restaurant. Please note: The Angola Field Group has been invited to enjoy a weekend away in the village of Luandos, Sept 9th to 11th. Scroll down for details. Don’t miss the Kuduro King’s live performance on Oct. 23! We’re having a Special Guest Star appearance at our film presentation of “Kuduro, Fogo no Musseke“ on October 23! Tony Amado, the ’Kuduro King’ who started the made-in-Angola movement, will be our special guest and will give a live demonstration of Kuduru moves and sound. And you can buy one of his personally autographed CDs priced at 1000 kwanzas each. Jorge Antonio, the filmmaker behind “Kuduro, Fogo no Musseke“, will also be joining us— check out the post below for full details about this presentation. Filmmaker Jorge Antonio directs Tony Amado while filming "Kuduro, Fogo no Musseke". Photo: Instituto Angolano de Cinema, Audiovisual e Multimdedia. On Thursday October 23, filmmaker Jorge Antonio will present his second film from a triptych of documentaries about Angolan music, Kuduro, Fogo No Museke*. Poster for the film (click to enlarge). It’s all about the latest and only ‘made-in-Luanda’ music that grew out of the musseques*, the crowded neighborhoods that sprung up during the war where cement block houses stand wall to wall, bursting with kids and restless youth – the new generation of Angola. The novo urban beat driving kurduro sounds like rap but is said to be a mixture of kizomba and techno, complete with its own dance movements. Kuduro is controversial and dynamic and has even been dubbed as the up-and -coming, hip new music on the international music scene. Join us and see for yourself the hot vibes coming out of Luanda. DVD’s just off the press will be available for 1500 kwanzas each. Although the film is in Portuguese (no English subtitles), the energy of kuduro hits you, no need to translate. Jorge Antonio will join us for this screening. He spends his time between Lisbon and Luanda where he consults for Angola’s Cinema, Audiovisual and Multimedia Institute. The Angola Field Group has shown Jorge’s documentary Angola, Historias da Musica Popular and we look forward to his third in this series and soon to be released film, “O Lendario “Tio Liceu” e os N’gola Ritmos”. If you can’t make it to the Angola Field Group presentation on October 23rd, you can catch this film at the 6th Annual Lisbon Indie Film Festival 2009 running April 23 to May 03, 2009. In close cooperation with the Viking Club, this presentation is offered free of charge. If you would like to download a map (145kb) showing the location of the Viking Club, please visit the Join Us page. Alcoholic and non-alcoholic beverages are sold at the bar. Drink coupons are available for $10.00 AND $20.00 or the equivalent in kwanzas. See you there!